It’s that time of year – our Annual Potluck Gathering! 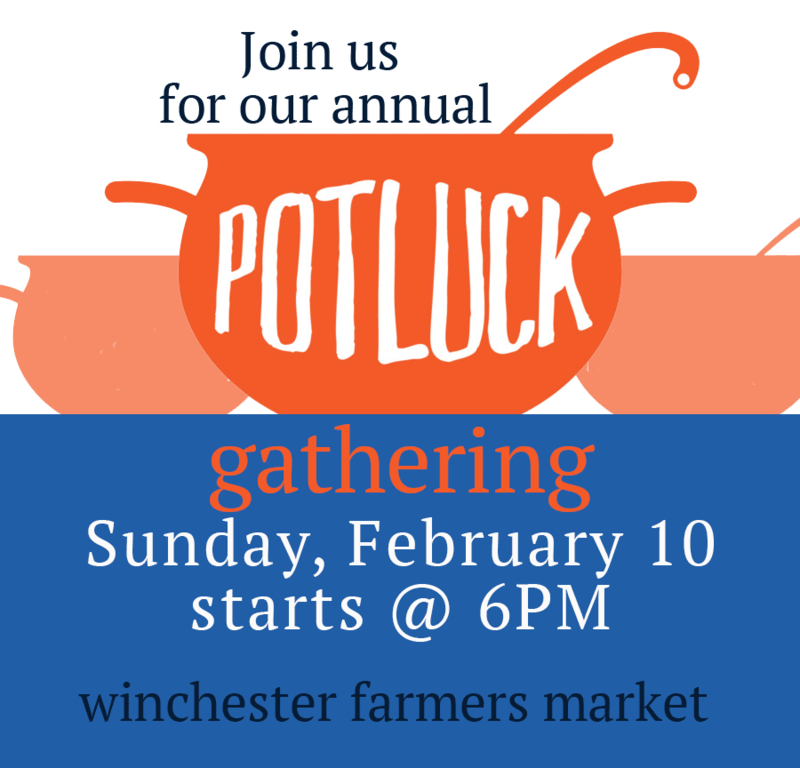 Bring your favorite dish to share with others and talk about the upcoming 2019 Winchester Farmers Market season. We are strategizing on how to improve the market: looking for new vendors, outreaching with our SNAP program, new programs, and more. Welcoming new folks who want to volunteer or participate this season. Bring something to eat or drink. See you there! LOCATION: 207 Cross Street, Winchester MA.